BEAVER DAM, WI — June 24, 2017 — In a night full of cautions and chaos, and even a bit of rain after Time Trials, Larson Marks Racing driver Shane Stewart secured a weekend sweep as he took the checkers for the second night in a row, this time at the Jim “JB” Boyd Memorial presented by Karavan Trailers at Beaver Dam Raceway. Greg Wilson, who led the race for 24 laps, came in just short of the podium as Kerry Madsen charged from the back to come in second with Jason Johnson behind him. “That was a crazy long race,” said Stewart from Victory Lane as the racing wrapped up near 1:00AM. Greg Wilson came in second in that Heat, in which only four drivers managed to complete all 10 laps, so he was looking at the last row of the Craftsman Club Dash. A full Dash inversion, with a draw of eight, however, moved him to the front, just outside of Donny Schatz, which is just where he started the Feature. Wilson wasn’t about to let that get away from him. He charged out ahead of Schatz in Lap 1. 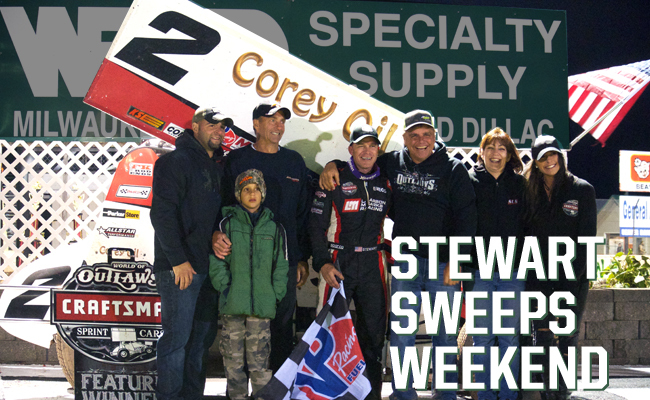 Schatz got a second chance, just as Stewart got at West Liberty Raceway the night before, but he came out less than victorious. A caution in Lap 1 forced a re-start, and set the field back to its original position. Jac Haudenschild bit the wall in Turn 2 with the Stenhouse Jr./Wood Racing No. 17 and was out of the race. Wilson took the lead again on the restart, and Stewart passed Schatz for second in Lap 6, starting a battle between them. Unfortunately, the battle resulted in contact between the two drivers that sent the Arctic Cat No. 15 flying into the air before taking several flips on the backstretch with 33 laps to go. Although the Series champ came out unharmed, he was done for the night. Sheldon Haudenschild was the next driver to taste the wall. More and more cautions followed, and while Wilson and Stewart battled it out up front, Kerry Madsen and Jason Johnson made themselves busy, climbing lap after lap and taking advantage of every restart. Madsen had some challenges earlier in the night. He had a strong lead in his Heat when he spun into the wall between Turns 3 and 4, losing a wheel and limping off into the work area while his car was towed. But he refused to be defeated. He went on to win the Last Chance Showdown and make the Feature, where he started in the 21 spot. Yes, 21. And with only two laps to go, there he was, passing Wilson for second. 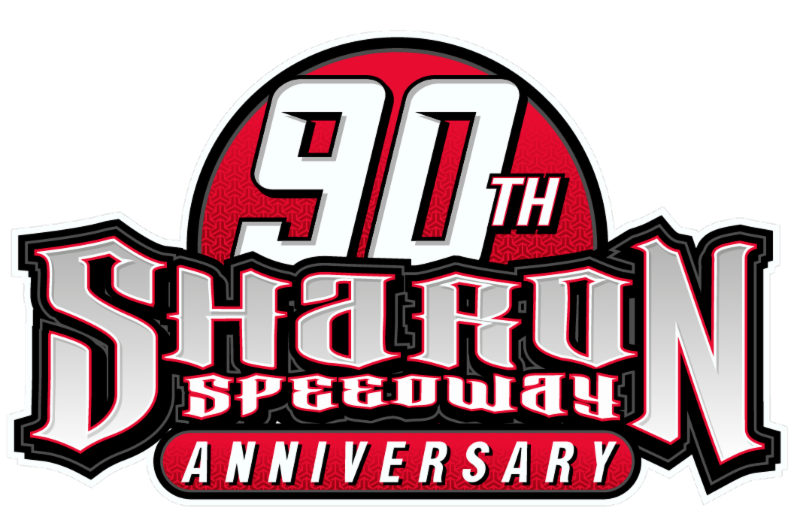 The World of Outlaws Craftsman Sprint Car Series meets up with the Late Model Series next at the Dirt Oval at Route 66 Raceway in Joliet, IL for the FVP Outlaw Clay Classic on Tuesday and Wednesday, June 27 and 28. Tickets are still available online.